A father and son portriat. 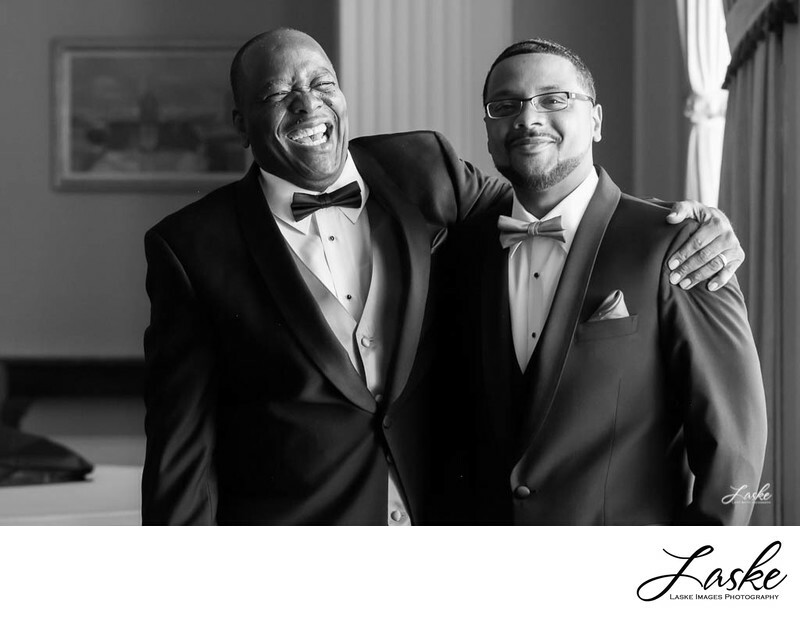 This Dad wraps his arm around his son and gives a hearty laugh on his son's wedding day. 1/100; f/5.6; ISO 2000; 108.0 mm.